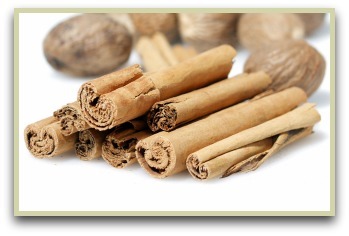 From ancient Egypt and China to the might of Europe, nations prized this rare, rich and powerful powder reserving it so that the uses of cinnamon spice (cinnamomum) were exclusive to the elite and powerful. One of the first historic references to the uses comes in the Bible, when Moses is said to have used it in a holy anointing oil. .In ancient Rome, it was used to purify the way of the spirits by being burned on funeral pyres. The ancient Egyptians used it as one of the components of their mysterious mummification process. Interestingly, there are still some ritual uses of cinnamon today, used to promote awareness, and even to encourage love. Fitting, since it was mentioned in the Bible’s Song of Solomon as adorning a lover’s bed. It must be the sweet smell that evokes the sense of romance! ...it was the many cinnamon health benefits people were interested in. From Chinese medicine, through Indian Ayurvedic traditions to modern day medicine, it's been used to treat a number of ailments and disorders. 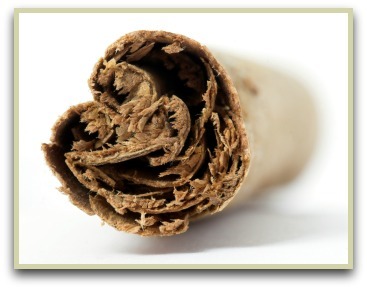 It has been shown to strengthen mental powers, help digestion, inhibit bacterial growth and even help people quit smoking! In Sri Lanka, where it originated, drinking a tea made from it is said to help relieve stress. One popular use of the essential oil is in massage and for aromatherapy. Read more on the oil. As one of the world’s most popular baking spices, it is used often in desserts to add depth and flavour to everything from apple or pumpkin pie, to buns or raisin bread. It’s often present at the breakfast table, sprinkled on toast, or spicing up a bowl of oatmeal. It can even be used to pickle fruits. There are also dinner dishes that benefit from it, including sweet potatoes, squash, pumpkins and soups. And for these lighter dishes, I prefer to use Ceylon cinnamon. In the Middle East, it's widely used in Persian dishes, and is often used to flavour savoury recipes with chicken or lamb. It's also used in some Indian dishes and many masala blends and powders. For these "heavier" recipes and masala blends, I prefer the cassia variety or its close relative; Saigon cinnamon spice. When using in your cooking, you can use the quills (or sticks) or the pre-ground powder, depending on the recipe. Cinnamon quills have the benefit of lasting a long time, while the ground stuff can lose its flavour quickly if not stored in an airtight container in a cool dry place. For maximum freshness and flavour, I do recommend grinding the sticks yourself. Note: Ceylon is really simple to grind with an electric grinder. Whilst with cassia you have to take care the tougher bark doesn't get stuck under the blades and break them.